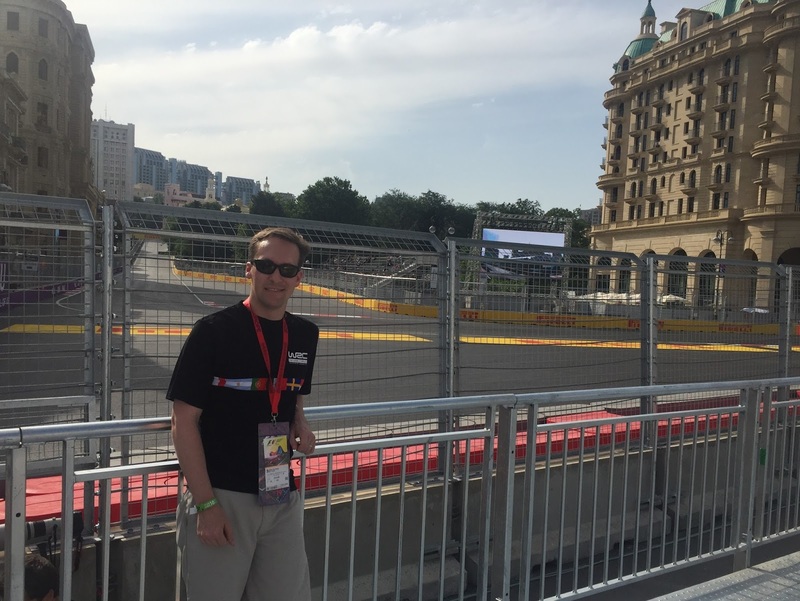 This past weekend was a historic event - the first ever Formula One here in Baku! We've driven on the track downtown and seen them setting up the course since we moved here over a month ago. We weren't sure if we would have babysitting or how visas would work out for everyone so we opted for just Jason to get tickets and buy slightly more expensive than we would have done if we were both going. 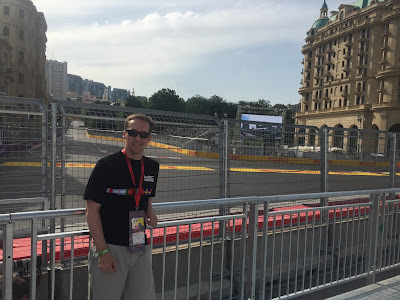 He had a fabulous time seeing the race and a really good corner of the track I think! It was also Father's Day in the US on Sunday. We let Daddy sleep in and made him a breakfast of bacon and eggs before he headed out to the race. While he was gone the day before Madi and I made him a card and she was excited to give it to him and to wear her matching car shirt that we bought back in 2014 when we attended WRC Catalunya.